Liberian football great, and the African country's president, George Weah has made his football comeback at the age of 51. President George Weah rolled back the years when he laced his boots again to play for Liberia in a 2-1 defeat against Nigeria. 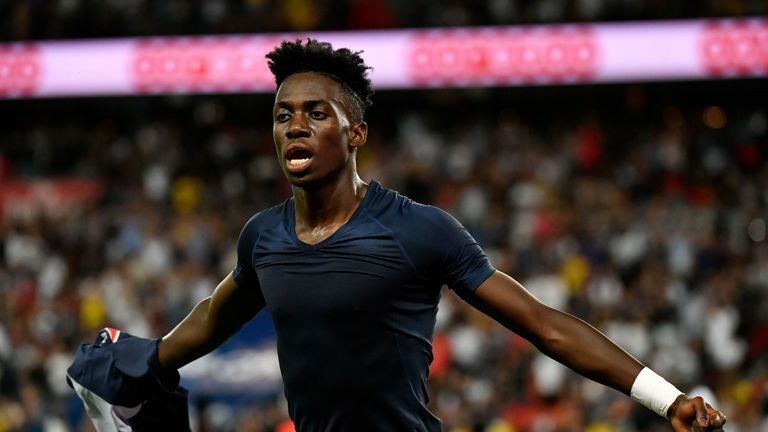 Liberia ended up on the wrong end of a 2-1 defeat - this all coming on the very same night that Weah's 18-year-old son, Timothy, started for the US in their game against Mexico in Nashville. The Super Eagles of Nigeria are now in a friendly match with the Liberian national team in Monrovia, Liberia. The game had been arranged to honor him and retire his number 14 shirt.